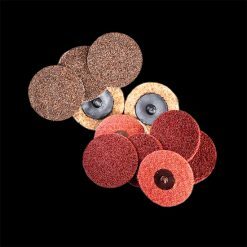 Our roloc discs are available in a variety of materials, such as ceramic, Scotch Brite, and zirconia. Additionally, we sell roloc strip discs and roloc flap discs. 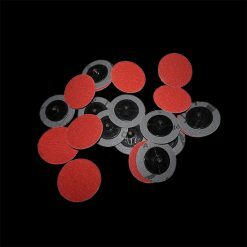 These Roloc pads are excellent for polishing, sanding, grinding and finishing stainless steel, mild / black steel, aluminium, all metal, plastic and copper. 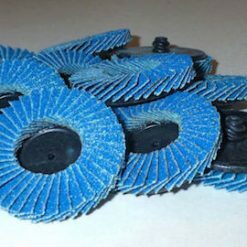 They give superior performance for weld and edge grinding, rust and paint removal, deburring, blending and surface preparation. 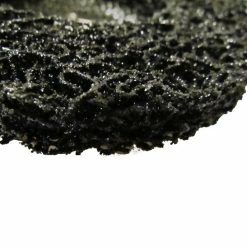 Choose from 2″, 50mm and 3″ 75mm pads in a wide range of coarse and fine grits. Ceramic discs can last up to four times longer compared to Zirconium discs and have a very high degree of material removal. 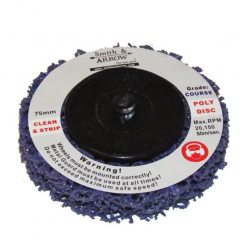 Scotch Brite roloc discs are ideal for polishing and finishing metal work. Zirconia is premium material for sanding and grinding back all metal.